We accept a limited number of reservations up to one month in advance for parties of minimum of five. We are pleased to serve your catering needs. Our Garden Room can accommodate groups of up to 65 guests for private meetings, parties, and receptions. Let our experienced staff assist you in a professional manner by calling ahead for reservations for your special needs, like those special desserts created just for your guests. It takes extra time to prepare them, but then, we want to make sure your event is a success. We have space for a live band, small combo, or vocalist. Our restaurant offers live jazz music once monthly. Talk to a manager about a 15% Discount Partnership Deal with your non-profit organization and let us host your next fund-raiser. Click here to see our Catering Menu available for either the Garden Room or your off-premises event. 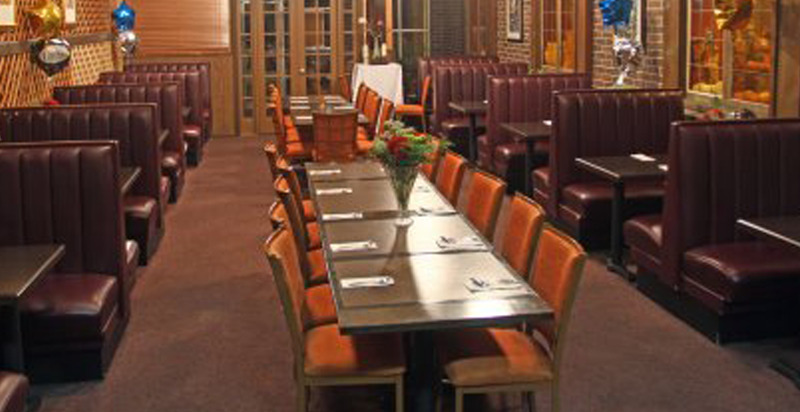 Call (913) 649-5420 to reserve either room for your reception or party.